"one of the most beautiful and clear voices in Danish folk Music"
Helene Blum is a rising star on the Danish folk scene. 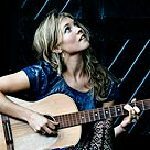 Her music is deeply rooted in the Danish tradition she grew up in, and as a soloist she offers an excellent approach to the Danish song in the year 2009. Helene creates a musical universe where the old and the new adjoin and merge in a harmonious unity, a unity completed by her beautiful voice, which expresses delicate softness, sweet and spontaneous joy, as well as intensity and passion. 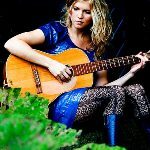 Her newly released second album "En gang og altid" (Once and forever) contains interpretations and new versions of Old Danish songs combined with traditional material in new songs. The album is produced in cooperation with Helene Blum's husband, the fiddle player Harald Haugaard (known from various constellations on the Danish folk scene e.g. the well-known Danish folk duo Haugaard & Hirup). Helene Blum, a graduate of the Carl Nielsen Academy in Odense, has a solid resume of singing: she has performed in various groups (e.g. Haugaard & Hirup, Via Artis, Duo with Danish Folk singer Karen Mose, Phnix). 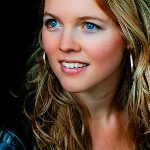 Furthermore, Helene has played the leading part (singing) in the Schleswig-Holsteinische Landestheater ballet "Medea", and the Danish composer Rasmus Zwicki has written a part for her in his opera "Konsumia", which was staged in Odense, Denmark in the Spring of 2009. Helene will be performing as a soloist at the WOMEX 09 Opening Concert "The Great Nordic Night", produced and conducted by Harald Haugaard in cooperation with the Danish Folk Council.